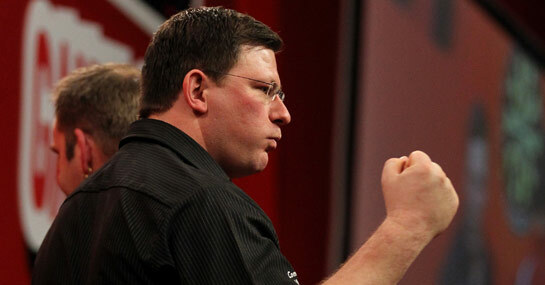 James Wade has largely underachieved in the Ladbrokes World Championship in the past, but he can make it through to just a second ever semi final by beating John Part. Wade’s encounter with Part is the second of the first pair of quarter finals at Alexandra Palace, with the afternoon session set to be kicked off by Andy Hamilton taking on this year’s surprise package Kim Huybrechts. Huybrechts only turned professional in the summer and has already majorly exceeded expectations by reaching this stage. He will harbour hopes of emulating the shock run of Kirk Shepherd, when he reached the final as a massive outsider in 2008 and the Belgian was impressive in seeing off Paul Nicholson in the last round. What was particularly encouraging for Huybrechts was a sequence of 12 winning legs from 14. However, Hamilton arguably produced the performance of the tournament when white-washing Phil Taylor’s conqueror Dave Chisnall in the third round and a repeat of this display will be enough to defeat the rookie. Hamilton averaged close to 100 in this success and was clinical with his doubles, checking out 50 per cent of his opportunities. Wade’s only previous semi final appearance came in 2009, but he has made serene progress this year and largely won through under the rader. He has beaten both Jelle Klaasen and Steve Farmer in straight sets in previous rounds and looks well on course to win the only major tournament missing from his trophy cabinet. Wade has also won nine of his 11 showdowns with Part and avoided defeat against the former world champion in all meetings since 2008. Part has overcome being the betting underdog in beating Richie Burnett and Kevin Painter, but may find it third time unlucky against Wade.